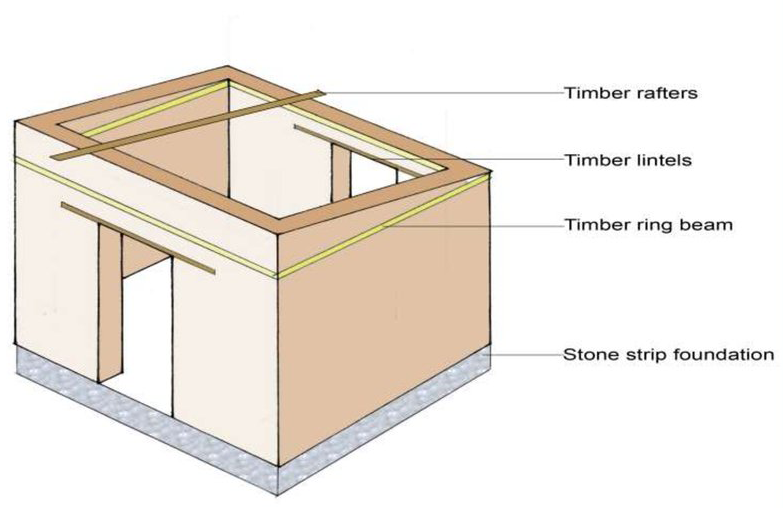 In load-bearing structure, the entire load of the superstructure is transferred to the walls as roof and floors are directly supported, on walls. 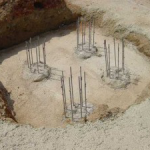 Walls, in turn, transfer the load to the underlying soil through wall footing. 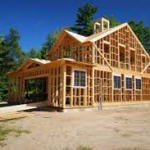 This type of construction is suitable and economical up to two story’s, though four stories can be constructed. As the wall footing directly rests on hard strata, this type of constructions adopted where hard strata are available at shallower depth. The speed of construction is less. If the number of stories is increased the thickness of the walls increases considerably. This not only reduces the carpet area but even increases the cost. 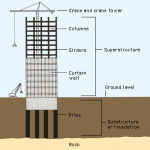 It is a structural system where loads of buildings i.e. 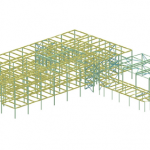 weight of building itself plus the live loads get transferred to the ground through walls. Walls bear a load of roofs, floor and of course self-weight. 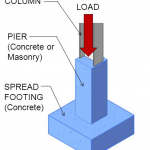 In contrast, most construction today is not load-bearing masonry but frame structures of light but strong materials, that support floor slabs and have very thin and light internal and external walls. 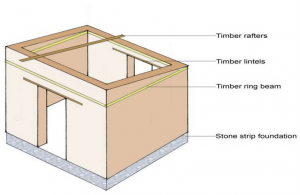 In load bearing, structural system external & internal walls serve as a structural element as well as the purpose of the enclosure for protection from weather i.e. rain, sound, heat, fire etc.